Cocktail parties are an old-school tradition that are long overdue for a comeback. These casual get-togethers were the perfect excuse to dress-up, socialize with others, and enjoy a refreshing drink or two. Hosting these events helped to improve your social status and allowed everyone a chance to relax and unwind. Cocktail parties became popular in the 1920s and were a symbol of class and sophistication throughout the 1950s. The simple at-home cocktail party turned into a fashionable event and local bars began to host a cocktail hour that included live music and performances. These elegant parties also became a staple on the big screen with several films from the era featuring scenes of famous stars with a cocktail in hand. The reason why we need to bring back cocktail hour is because it will provide us with a chance to relax and be ourselves in the middle of the chaotic world we live in. There aren’t too many rules involved with throwing your own cocktail party, they typically last around 2 to 3 hours and very little planning is involved. The most important factor is the drinks, once you have those, everything else will fall into place. Add a few snacks and tell your guests to wear their very best attire for socializing. Cocktail parties may have fallen by the wayside over the past few decades, but there’s no reason why we can’t bring these fun and trendy get-togethers back for another round. Here are the top 5 reasons why we need to bring back Cocktail hour. If you have enjoyed a mixed drink or martini at the bar in recent years, you know how expensive it can be to go out with friends. 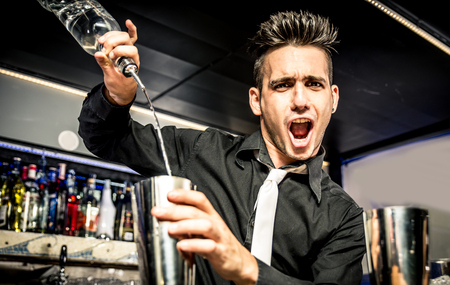 By choosing to host a cocktail party, you and your guests can enjoy as many drinks as you want without paying out a hefty price. And if you would like to host a party but can’t afford to buy all the drinks, consider having your guests chip in or bring a few ingredients. The more the merrier! These days with work, kids and the responsibilities of life in general, it can be almost impossible to get everyone together. 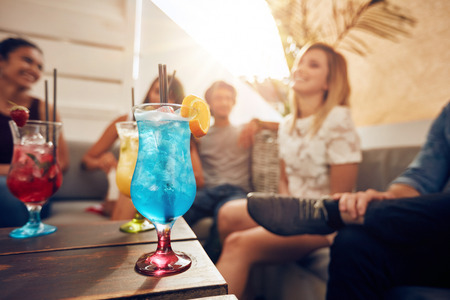 And when you do get time to go out with friends on the weekend, it is usually to a noisy bar, crowded restaurant, or club where you really can’t talk or socialize with others the way you would want to. 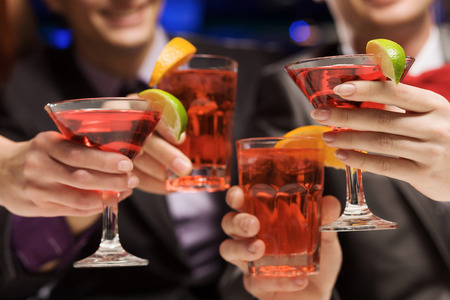 By hosting a cocktail party at home, you have a more intimate setting and are able to talk and catch up with those you haven’t seen in years. All that beautiful stemware and China that you received as wedding gifts for entertaining guests will actually be put to good use if you host the occasional cocktail party. Let’s face it, the only time our serving dishes and wine glasses get taken out of the cupboards is usually for the holidays. Why not put them to good use and enjoy them while you can by serving amazing cocktails and appetizers with them? Are you on a strict diet plan or do you have friends with food allergies and intolerances? Maybe you have friends who are vegan or on a gluten-free diet. It can be difficult to find a place that will accommodate to everyone’s unique dietary needs. But if you host your own cocktail party, you can make sure that all your appetizers can be enjoyed by all guests or alert those with diet restrictions of any potential issues on the menu. Possibly the best part about hosting your own cocktail party is that you decide when it is all over. You don’t have to worry about waitresses or ushers asking you to leave or closing time. You can just relax and enjoy the company of your friends for as long as you like. Cocktail parties were always fun social gatherings where you could catch up with friends or mingle with people in your neighborhood. They can be as extravagant or casual as you like, the only rule is to have a good time and enjoy yourself. So consider hosting a night-in with friends and have some people over for drinks and finger foods.